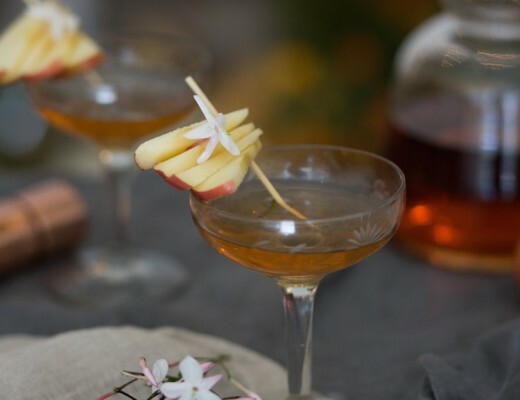 When it comes to a cocktail bars, service is just as important as the drink itself. But what about ambiance and decor? To me, they can be crucial to a great experience. Sometimes I think beautiful decor makes the drinks taste better, I am sure there is science out there to prove this! When I come across a beautiful bar, my hear skips a beat, but when I came across The Golden Girl Rum Club, it skipped a few! I am smitten! And it’s not hard to see why! How stunning is this modern tropical oasis? If you don’t know already, I am a huge tiki-phile. 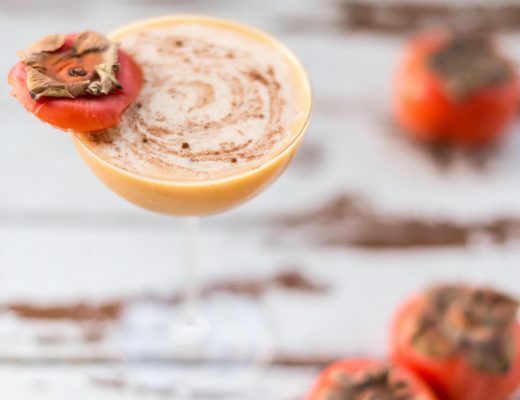 Rum, blended juices, exotic syrups and spices and of course all the garnish flair really gets me going! 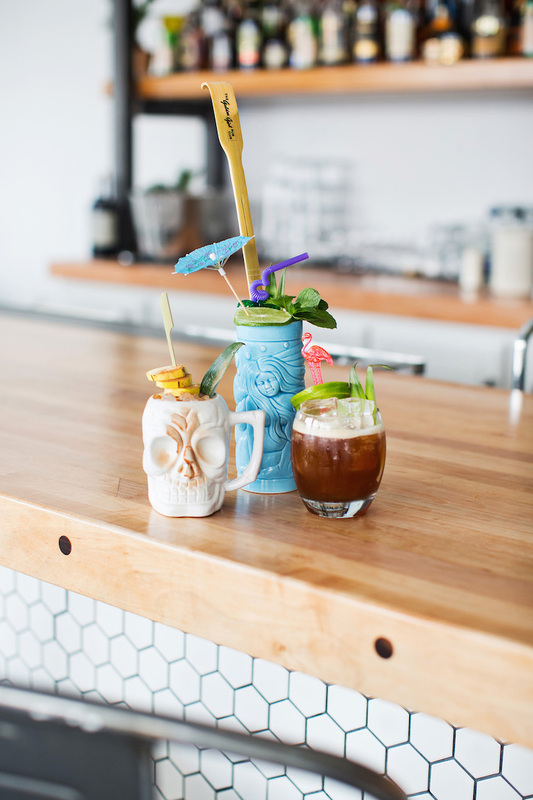 Let’s not forget the iconic tiki mugs, and TGGRC has them all, sharks, buddahs AND skulls! 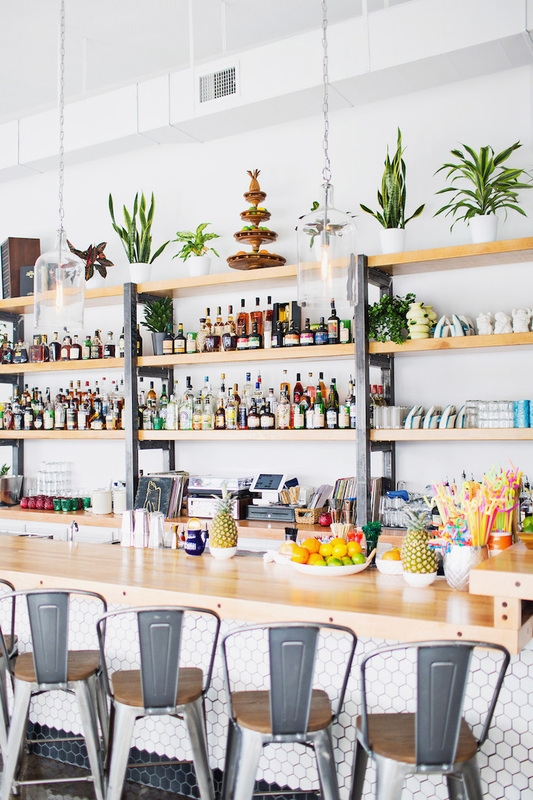 It’s a chic take on the traditional kitschy tiki bar with some playful elements strewn about. 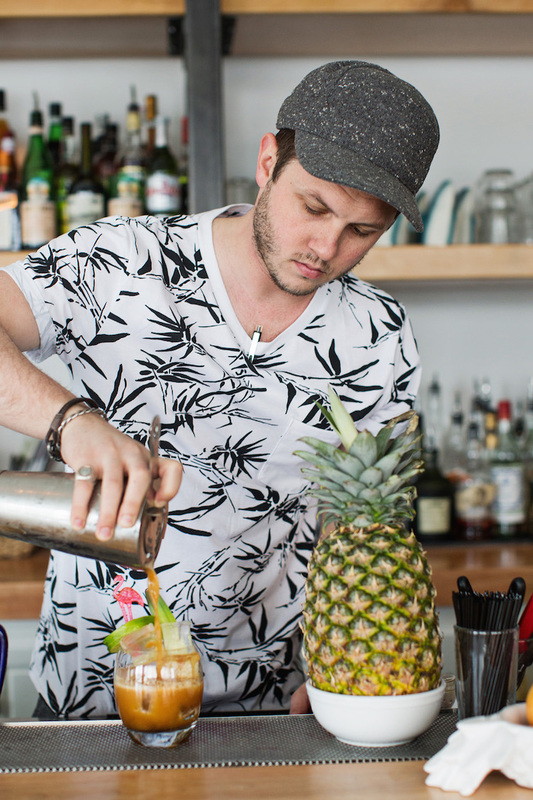 They actually prefer to be referred to as a rum club, not a tiki bar. What I want to know is, can I join your club, guys?! I so wish I lived in Springfield just to belly up to this bar often. Yes, this is in Springfield! 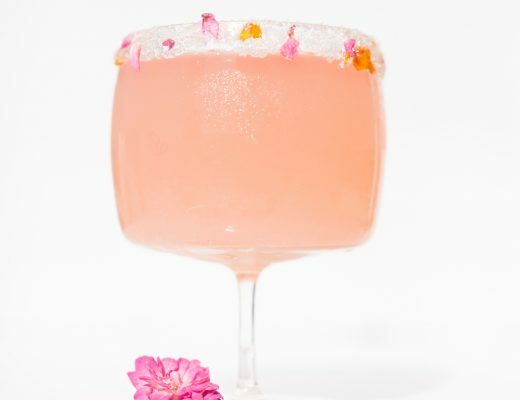 The tables, tiles, chairs, and tableware are neutral to serve as a canvas for the colorful and whimsical cocktails. 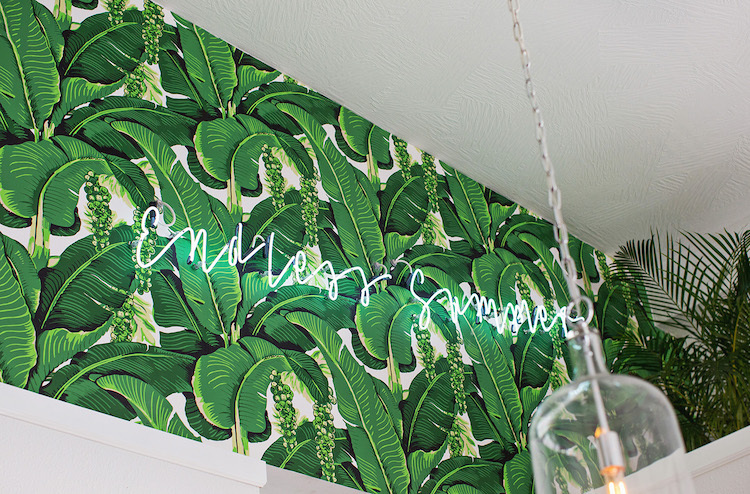 Aside from that tropical wallpaper and neon sign. Dying! I can feel the Endless Summer vibes in every inch of TGGRC. All of their drinks on the menu are created by their head bartender Rogan sound friken fantastic! Some that I am dying to try include the The Ballad of Jed Clampett: Plantation 3 Star, House Falernum, lime, blackstrap simple, HOLY SH*T JAWS: Greene Chartreuse, Plantation Dark, lime, simple, pineapple, orange, and Man Overboard: Plantation Overproof Dark, Cachaca, house sour, egg white, Jerry Thomas Bitters. Holy yum! 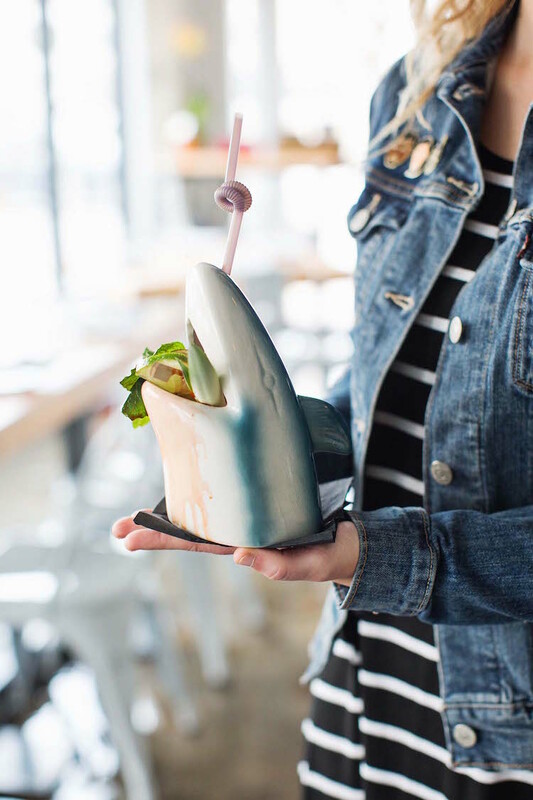 Green chartreuse is one of my favorite “new” ingredients that I see popping up in tiki + tropical cocktails and how fun is it to drink out of a shark head?! 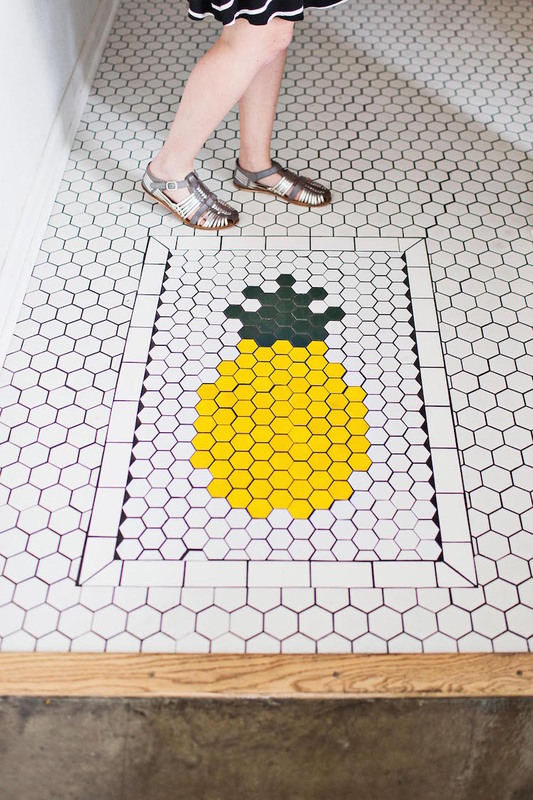 That pineapple tile work makes such a statement. I forsee many #ihavethisthingwithfloors moments happening with this. As if the bar couldn’t be anymore dreamy, they also have garage doors that flip open on nice days and will be adding a patio! 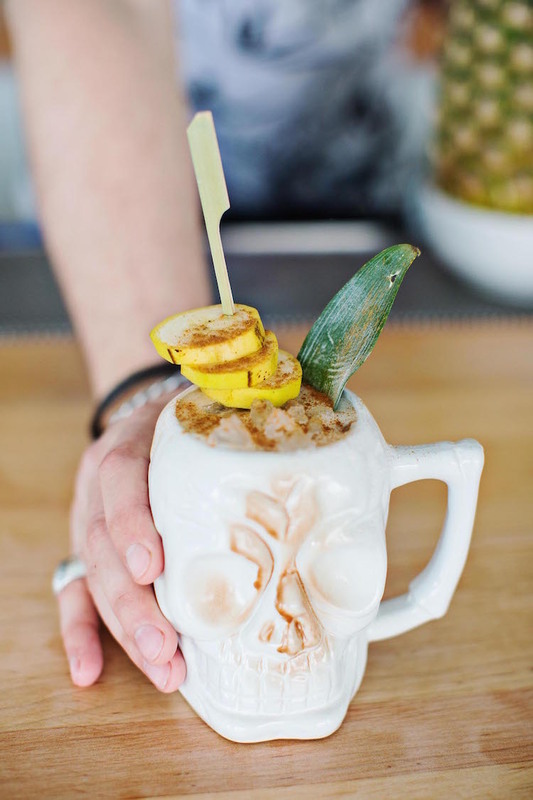 Al fresco tiki drinks in the sun, there’s nothing better! 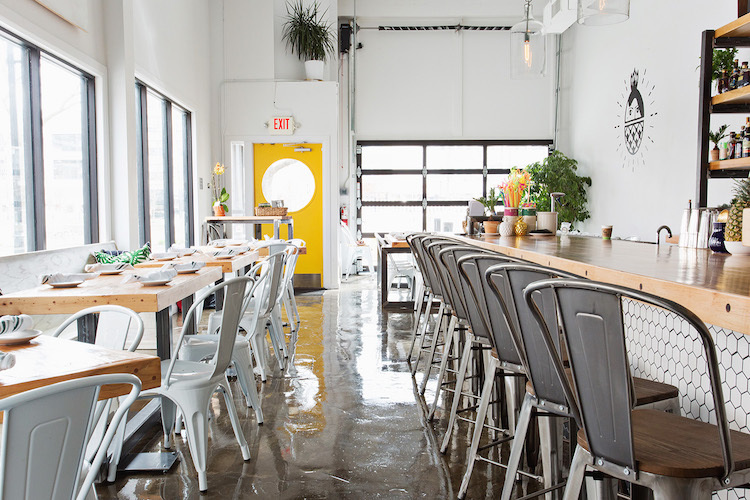 Their fabulous decor and drinks are also complimented by an eclectic assortment of dishes like Korean BBQ ribs, African Peanut Pork Stew, and pizza of the day. You can not go wrong with pizza after a few drinks! I am already looking at flights to Springfield to visit The Golden Girl Rum Club. 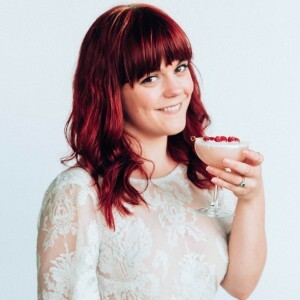 Will you save me a seat at the bar, Emma?! Photos courtesy of Janae Hardy. Drinks via Rogan Howitt.